Our two-year, vocational training is full time but structured mainly over weekday evenings and at weekends thus enabling students to work whilst they train. There is no upper age limit on those who audition. Students need to be 18 years old by the time they begin their training. There are currently a number of small bursaries available for talented students in lower paid work. These can be applied for once an offer of a place has been made. 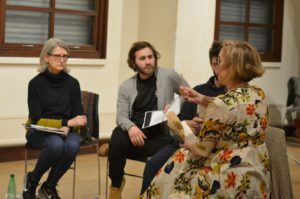 The two-year course is a robust and rigorous acting training covering classical and contemporary theatre and entitles students to apply for student/graduate membership of Equity. 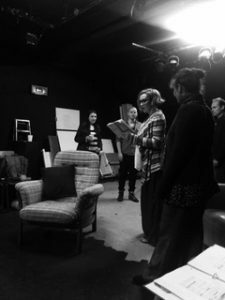 Alongside acting and character study, we work on classical and contemporary plays. 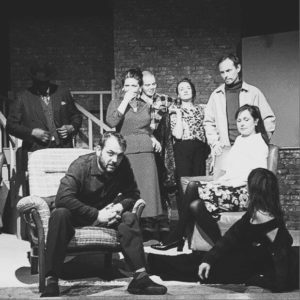 Playwrights include:- Ibsen, Shaw, Wilde, Coward, Chekhov, Shakespeare, Tennessee Williams, Arthur Miller, Harold Pinter, Brian Friel amongst others. All first year showings are internal and feedback is in the form of formal Crit Sessions twice a term. It is our aim to often cast against type in the earlier terms so that the actor is challenged to explore a fuller range of human experience. In the Third Term we introduce work on modern scenes, beginning the process to find suitable casting material for showcases in the graduating terms. We begin work on a Shakespeare play and also study Restoration Comedy. Preparation for Agent’s Night continues, ready to present the first Showcase in January to the industry. There are two opportunities to showcase work. One in January and another in June of the final year. The School invites agents and casting directors alongside other industry professionals to view graduate scenes/speeches. Between February and May of the final year, there is a season of plays and a musical showcase that are open to the public and the industry. These would involve daytime rehearsals. The final two terms also include talks from Equity, Spotlight, Actor’s Centre and working actors. There will also be practical sessions on self taping. We hope to make it possible for all graduates to leave equipped with a showreel and as many tools as possible to thrive in the business. The work on the voice will have 3 main components. Students will initially be given a description of their physical body and how the breath functions within this structure. Secondly they will be taught a breathing technique with exercises to ensure that their voice can be used to it’s fullest capacity with a strong range, clear pitch, and precise diction. Finally, this knowledge will be consolidated through the use of text, with a process introduced to explore how muscular responses can be effected by the emotional requirements of the material. Through following these techniques students will feel an enormous creative release, finding the ability to fulfill their emotional choices without difficulty. Aims to free the body of habitual tensions in order to allow the actor to transform physically and imaginatively into another’s existence. Whether this is a character within a play, a wild animal or a clown, the process is the same. The actor needs to embody both the subtle and the extreme and most of all to do this truthfully and particularly. Classes include Fundamental Movement, Laban Dance, Ensemble Movement, Animal Study, Mask and Clowning. In Period Dance classes, students also study people from the past through their dances. Actors and singers have different technical approaches to physicality and breath than dancers. The breathing system is different. 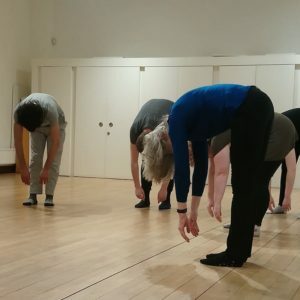 It is vital to keep the diaphragm free for vocal capacity and we approach the technical side of dance with this in mind, addressing important techniques to apply when working with professional choreography. Musical Theatre Studies include basic dance appropriate for the MT repertoire but with the main focus on acting-based Musical Theatre. Singing technique is taught with an emphasis on how to link singing and acting. Even if you are neither a singer nor see yourself doing MT in your career it is a valuable way for you to learn to connect to the emotional side of your acting. Classic genres will be covered including Rodgers and Hammerstein, Kander and Ebb and Stephen Sondheim amongst others. TO APPLY FOR THE TWO YEAR TRAINING, PLEASE FILL IN THE FORM ON THE ‘AUDITION’ PAGE OF THE WEBSITE.